Choose from hundreds of weapons ranging from classic melee weapons, pistols, rifles and heavy weapons to futuristic laser and plasma weaponry, as well as PSI modules. 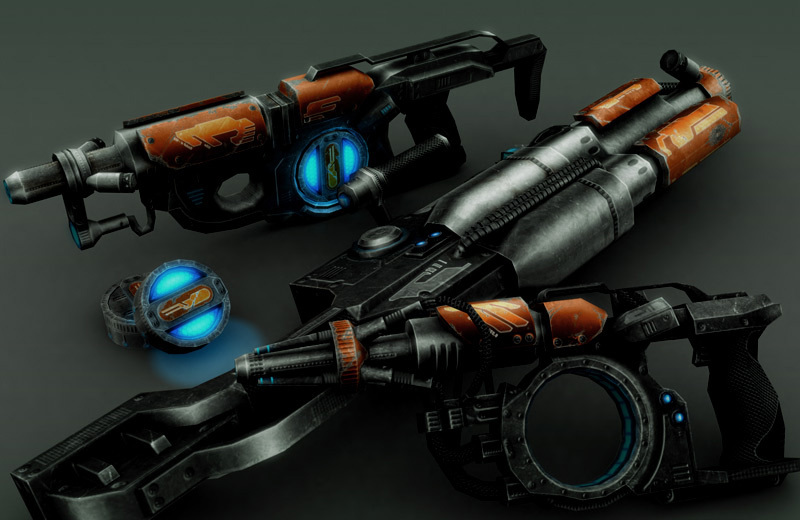 Here you will see a small selection of the weapons that you will find in Neocron. Kindly supported by H.E.W., Archer & Wesson and Tangent Technologies. 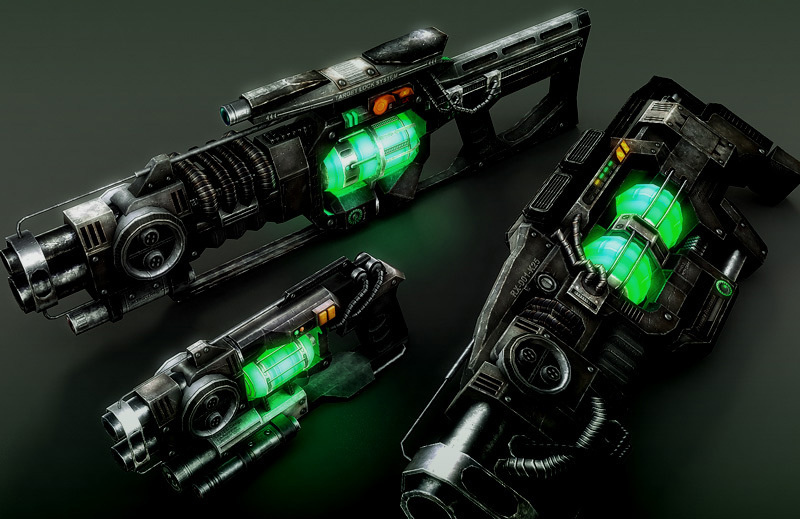 The phase-induced Plasma guns use a combination of plasma formation and ohmic plasma-ignition methods to maximize effectiveness. This technique uses particle-charged magnetic field beams induced into existing plasma, thereby multiplying the energy level of the plasma by 3.3 eV. The downside of this method is the relatively low density of the plasma charge, giving it a reduced kinetic impact effect. This however, is more than compensated by the higher energy level of the plasma charge. The intense heat of the plasma (10°6 K) incinerates almost anything along its path, inflicting severe heat damage to its targets. This, in combination with the kinetic energy of the beam's acceleration, makes it one of the most powerful weapon technologies available. Fusion guns cause damage to the target by fusing the target's atoms upon impact. Points of impact from fusion guns sometimes resemble pre-melted mixtures of colored wax. 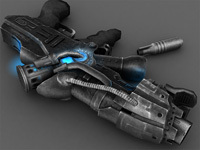 Even the toughest armor has been known to fail when under assault by a skilled opponent wielding a fusion gun. The only effective defense against fusion shots is energy-resistant armor. 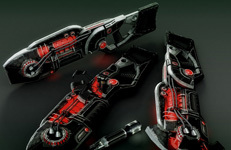 Due to the fusion technology, fusion guns deliver the most damage near to their maximum range. Originally used by CityAdmin for crowd control at the launching sites of the first ships destined for the Irata 3 colony, the Freezer fires a negative-ion pulse that is designed to slow the actions of the affected target. It does this by charging the neurons throughout the nervous system more negatively. This makes it harder, if not impossible, for most neurons to create action potentials for a short time, thus stunning and disorienting the targeted individual. The freezer is powered by a small battery pack, and is very energy efficient. Because of the specialized technology used in the Freezer, it is rather large. A good weapon overall for crowd control, but somewhat heavy. The Pulsar-Class Ray Gun is a disruptor weapon. Organic tissue is disintegrated on the subatomic level. This is achieved by firing neutron saturated beams at the target. A cold-fusion reactor powers a two-stage tandem micro-particle accelerator, the Synchrotron. The Synchrotron produces neutron (1.7 × 1027 Kg) particles with no electric charge. The output stream of the Synchrotron is guided to the Rutherford chamber by means of focusing magnetic fields. In the Rutherford chamber (a tube consisting of an array of magnetic lenses (AML) and a cooling system) the stream of neutrons is focused, synchronized, and magnetically contained by the AML system. Fired from the Rutherford chamber, the neutron beam leaves the nozzle where the magnetic containment field is discharged, freeing and accelerating the neutrons to 2000 m/s. The ray guns bore through the target by disassembling it at the atomic level. Its effect on the target is somewhat unique. When struck by the beam, the target's component atoms reassemble as a fine mist that slowly dissipates. The mist is small enough to be absorbed through most air filters, leading to a pretty grisly, though mostly bloodless, aftermath. The effect of a ray gun decreases noticeable with increasing length of the ray. The laser guns causes damage as a result of the extreme heat which the beam emits. The heat of current laser guns is so high that it is able to melt through most kinds of armor, burning the flesh underneath. The main effects of wounds caused by lasers are second to third degree burns. Bleeding and other secondary effects are just a minimal part of the damage. The Pistol resembles archaic firearms in a lot of ways. A single bullet is loaded into the firing chamber where a hammer propels the projectile when the trigger is pulled. The Street Rifle is the favorite weapon of the mutants. 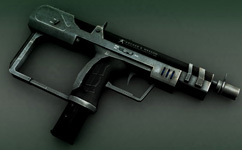 Although it is completely assembled out of junk, the Street Rifle has high firepower, long range, and high reliability. 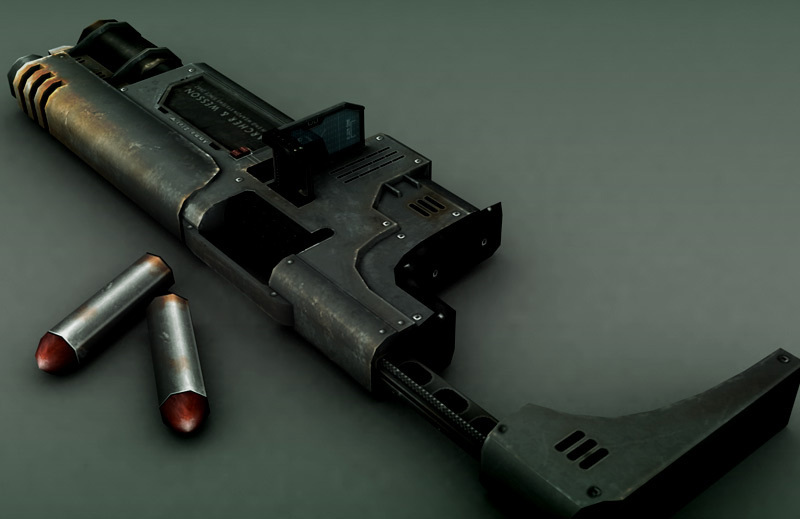 The Street Rifle uses 7.62 mm full metal jacket ammo by default. The ultimate short-range rifle. The Shotgun fires two shells simultaneously through its double barrels. 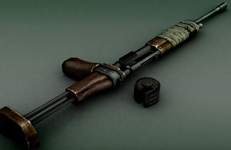 Manual pump action reloads the weapon from a magazine of shells. 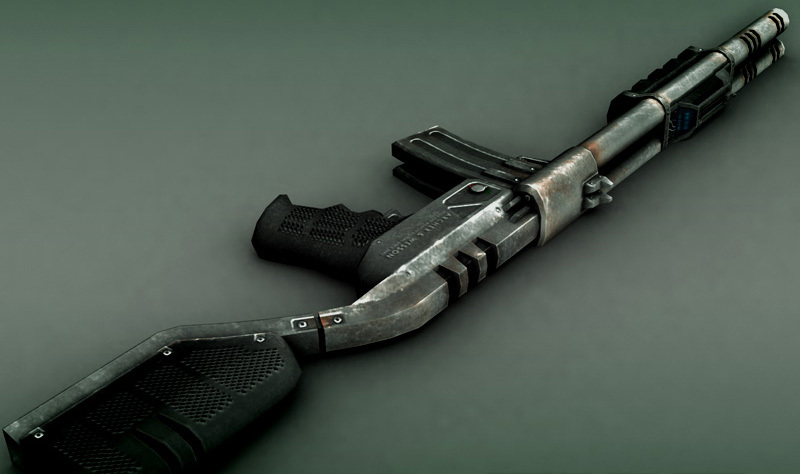 The shotgun, sometimes referred to as the 'sewer sweeper', is extremely reliable and can be loaded with a variety of high-powered munitions. 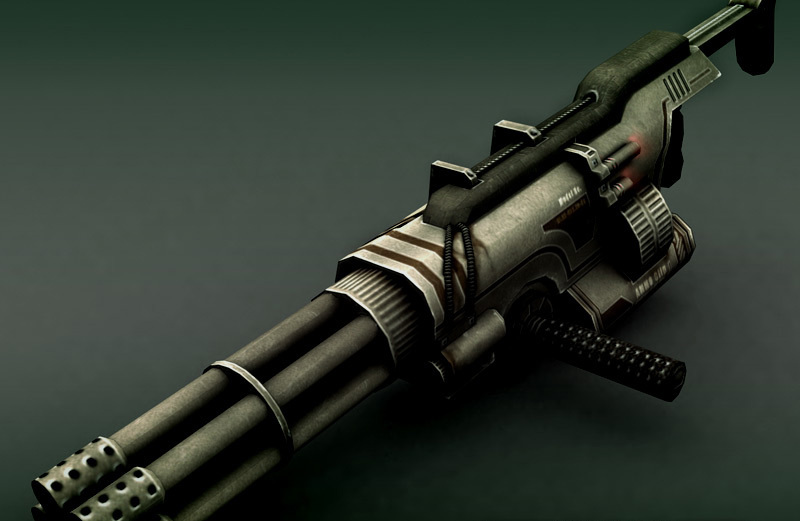 Force damage is the most common effect of the shotgun's standard load. When hit, the crushing impact of several hundred pellets can knock an armored target off its feet. An unarmored target may find itself with a gaping wound of shredded flesh and shattered bone. Other types of ammunition fired from the Shotgun will cause damage ranging from severe burns to concussive blast damage. The Assault Rifle is a semi-automatic, short to medium range weapon, originally developed by Tangent. It uses 5.56mm standard ammo and can also be converted to use various types of ammunition. Offering the ability of concealment and a delivery of superior firepower in close-quarters combat, the Sub-Machine Gun has become the most favored side arm of bodyguards and security personnel. 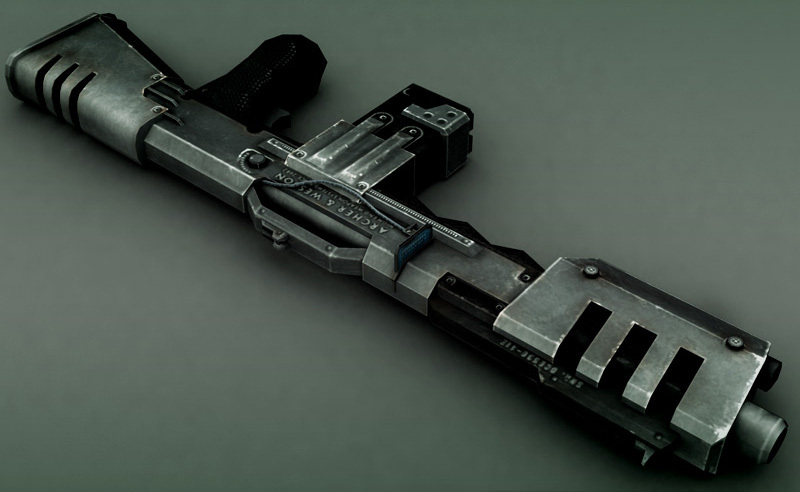 The Sub-Machine Gun has also been known to be the preferred backup weapon for many soldiers of the City Mercs. Firing a burst of bullets, the Sub-Machinegun causes piercing damage to the target. Bleeding, both external and internal, is the most common effect, though other kinds of damage can be caused when the Sub-Machine Gun is loaded with non-standard munitions. Gatling weapons are the favorite choice of the Aggressor Mutants. Some scientists even suggest that they are born with them. The very high firing rate and firepower make Gatling weapons a powerful argument in battle. 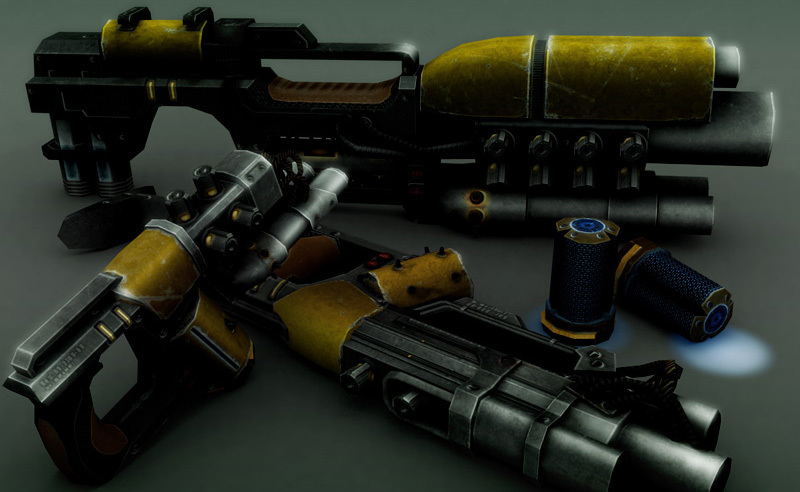 Most plans for Grenade Launchers found in the Ceres project involved bullet type ammo, where the grenade was first shot like a slug and then a small payload of explosives was delivered. Calispicus, a former machinist in the Dome of York, decided it would be better to find a way to deliver a much larger payload without the risk of it exploding from the initial firing. After devising that hydraulics were much too heavy, he decided the best way to launch a grenade without any combustion was a pneumatic delivery system. He tore apart a small pneumatic forklift for parts and quickly went to work forging the chassis of the weapon. After producing a decidedly large, but functional prototype, he was given a team to help him refine and miniaturize it until they came up with a model similar to the current one. Since then the only real changes have been cosmetic. Developed by the City Mercs and distributed by Tangent, the Rocket Launcher represents the perfect weapon for long-range combat against large targets. Six non-guided high explosive rocket projectiles with a maximum range of 3 km make this weapon absolutely lethal on impact. It is the future! But people are still beating each other down with clubs... 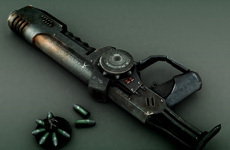 Different kinds and sizes of knives, the trusty old baseball bat, knuckles, claws and more advanced melee weapons like laser swords are still in use in the world of Neocron.